Photo of: East Coast of Ireland: Wicklow: Lugnaquilla From Glenmalure. 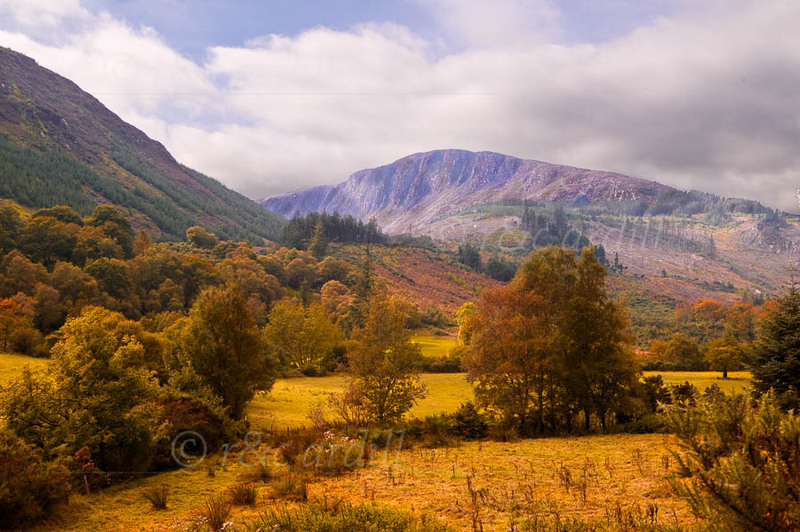 An autumn view of Lugnaquilla Mountain from Glenmalure. Lugnaquilla, or Lugnaquillia, is sometimes called Lugnaculliagh. The name comes from the Irish 'Log na Coille', which means 'hollow of the wood'. It is the highest peak of the Wicklow Mountains range and is known affectionately as the 'Lug'.